Looking for a fun opportunity for the family to incorporate a daily focus on healthy technology use at home? Well, March is Media Mentor Month, and in this increasingly digitized world, parenting arguably necessitates moms and dads taking an intentional lead when it comes to monitoring their child’s access to the Internet. The Internet is by no means the boogeyman and has opened up a world of possibilities, including increased mobility and global connectedness. However digital technology is a double-edged sword and comes with its own set of dangers. 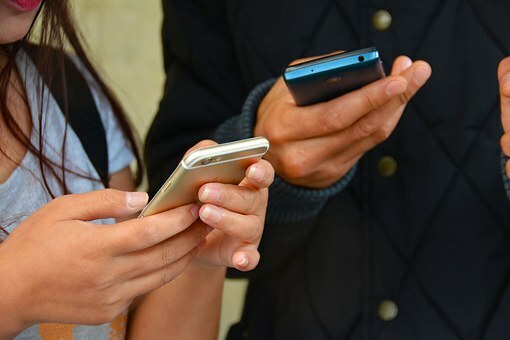 Distressing and inappropriate images, cyberbullying, trolling, addiction, and a plethora of other disconcerting issues surrounding the use of technology are key concerns that raise important questions for any parent. Created by Keri-Lee Beasley and Daniel Johnston for World Academy Switzerland, March is designated as Media Mentor Month with a calendar of suggested activities in English for parents to use as ways to engage with digital guidelines for their household and learn how their kids can better use their digital devices safely and enjoyably. The initiative aims to help parents develop a positive relationship with their children around digital technologies. Mentoring our children goes beyond academic achievement, healthy eating, and exercise; parents can also mentor their kids in their digital world. 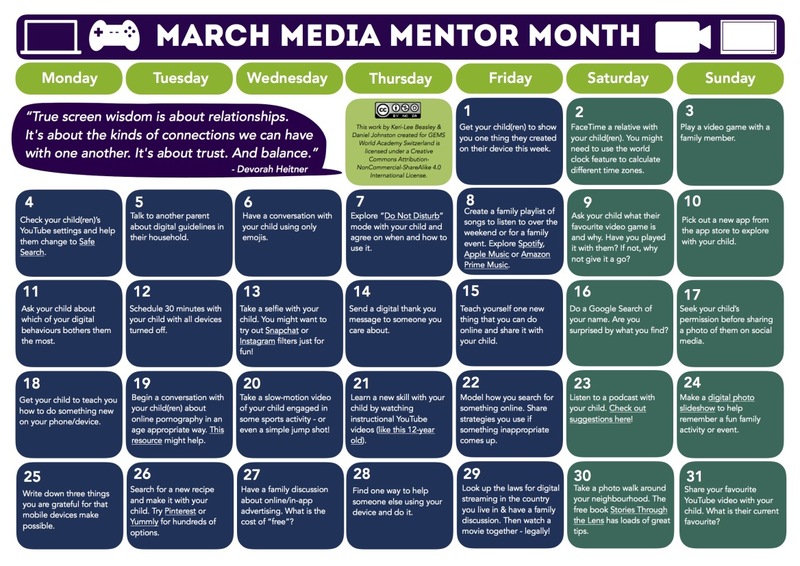 So if you don’t exactly know how to go about that, Media Mentor Month is for you and will provide parents with some ideas and strategies to help foster and develop the right kind of relationships with their kids and their use of digital devices. No matter how you choose to participate, try and share some photos of your family engaging with the challenges on social media, and don’t forget the hashtag #MediaMentorMonth. Happy selfie-taking, surfing, and gramming!